Dress Your Walls in Style! - Wallpaper is Fabulous! - Design Connection, Inc. Dress Your Walls in Style! – Wallpaper is Fabulous! I love wallpaper. There are so many amazing possibilities with wallpaper. It can make the room feel glamorous, cozy, fun, flirty, or edgy. With each look, the room feels purposeful and well thought out – like it was carefully designed and intended for you to see it. 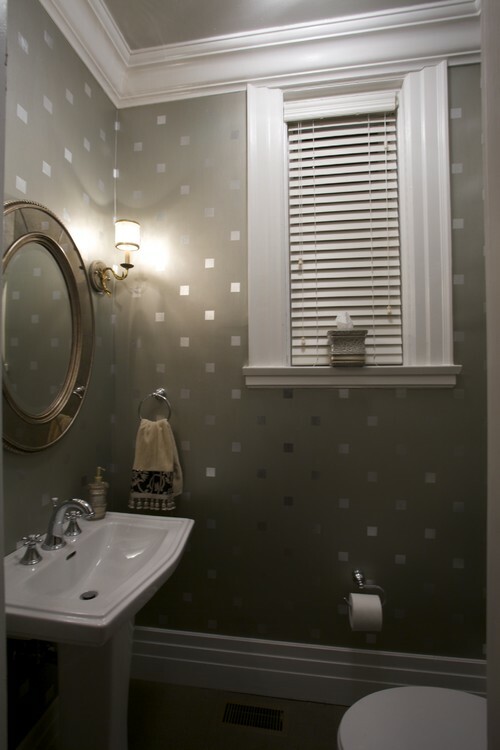 A powder room is always a great place to start when you want to experiment with wallpaper because of the size of the room. It is important to match your accessories to your wallpaper choice. This Design Connection, Inc. project is a perfect example of how the combination of wallpaper and accessories combination can make a small room classy, elegant and timeless. This is an example of a similarly neutral pallet but in a more contemporary style that is equally as elegant and glamorous. This powder room by W.B. 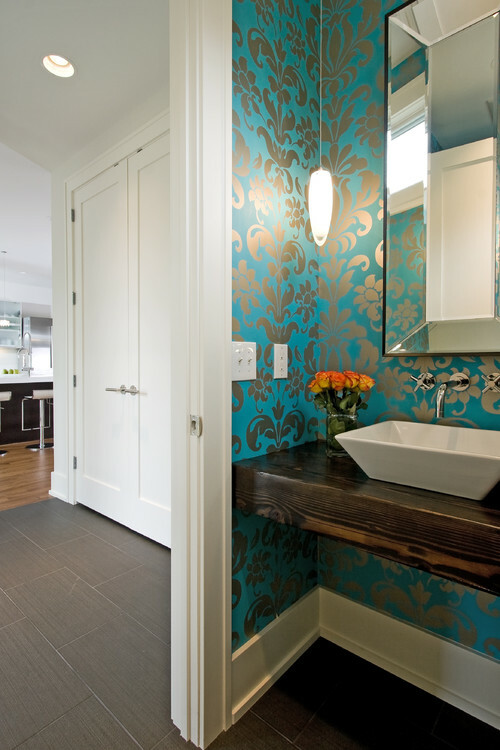 Builders in Minneapolis shows a modern, flirty, and beautiful use of color with wallpaper. Design Connection is a licensed dealer of Seabrook Wall coverings, a company that has been in business since 1910. Visit their website at www.seabrookwallpaper.com for more information. Cut out design and decoupage anything…including furniture! Visit Z Gallery for more information on these accessories.